I'm so happy to be back this month on the Fabric Mart blog with my first spring projects, simple and lightweight black pants and a flowy and sophisticated print top. 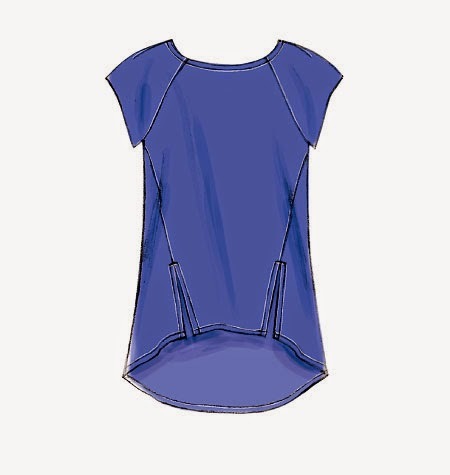 The top is McCall's 7093, a brand new tunic pattern with different color block variations. 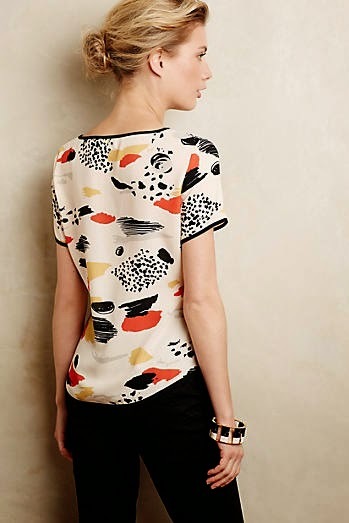 I made View A (without the slits) in this geometric viscose print from Fabric Mart. I've made these pants many times before, all with different variations, and this time I used this lightweight cotton twill from Fabric Mart , deleted the slash pocket and added 4" to the length. I ended up with a classic pair of pants that fill a gaping hole in my wardrobe. Your outfit turned out great! The long in the back shorter in the front top looks great and you are right the perfect top for leggings! Thank you so much! I've worn this already. I tucked it in to a straight skirt and it looked great too. So versatile. I wanna make this. Today. That IS the perfect top for leggings! I'm going to get the pattern. Make it up before summer....you'll be happy you did.